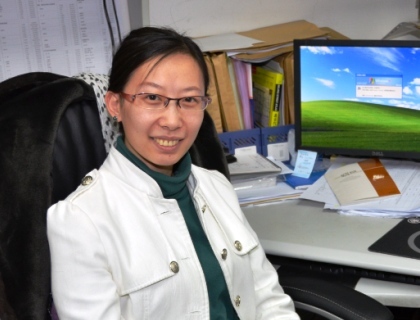 Chunhui Yang joined Prof. Mingyuan Gao's group in July 2008, and her major research focuses as followings: synthesis and assembly of iorganic nanocrystal; applications in biosensors of iorganic nanocrystal; applications in environmental analysis and food safety detection of iorganic nanocrystal. Analytical Chemistry, 2011, 83(17), 6778-6784. Biophys. J. 2009, 96, 4610-4771. J. Mol. Stru., 2008, 392, 398-401. Chem. J. Chinese Universities, 2006, 27(7), 1295-1297. Magn. Reson. Chem., 2006, 44, 720-723. Tetrahedron Letters, 2005, 46, 1217-1220. Journal of Chinese Pharmaceutical Science, 2004, 13(1), 49-52. Chinese J. Magn. Reson., 2004, 21(2), 221-229.